How to study materials on the world? 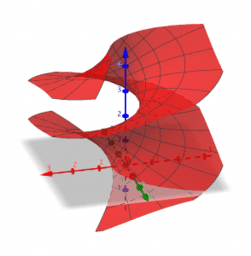 GeoGebra is a dynamic mathematical software. It is developed for learning and teaching mathematics in schools by Markus Hohenwarter and the international team of programmers. GeoGebra supports not only Windows and Mac but also iPhone, iPad and Android devices. GeoGebra is a rapidly expanding community of millions of users located in just about every country. In this talk, we introduce how to use GeoGebra for teaching calculus, curves and surfaces.